South Carolina’s capital city is home to a variety of renowned restaurants, all of which bring something unique and exciting to the table. Whether you’re looking for a quick bite downtown or dinner reservations with a view of the South Carolina State House, Columbia has you and your appetite covered. 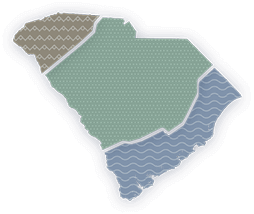 Get the inside scoop on what’s happening throughout South Carolina from the people who know it best. Check back often to read the latest and greatest stories about the Palmetto State’s endless things to do, places to see and adventures to enjoy. There’s big fun awaiting your family at EdVenture Children’s Museum in Columbia. The South’s largest children’s museum is home to more than 350 hands-on activities. Otter Creek at Northside Park in Greenville has four slides, a giant pool with beach-style access and spray pad and is perfect for a afternoon of fun and adventure.